Tan on Brown Leather Interior. All numbers matching with Certificate of Authenticity available. Original Dealer Price Tag Label. Same owner for the last 31 years. This stunning 911 is what a Porsche all about! Glass like exterior in the rare Pacific Blue Metallic color, which is all original from the factory. All the gaps are perfect and the doors shut with Porsche's famous "clunk"! 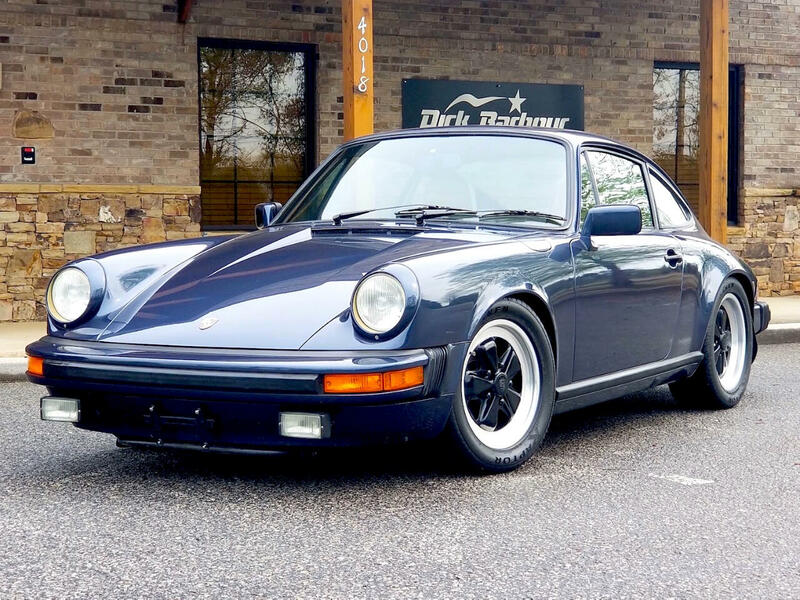 The Tan on Brown Leather interior wonderfully compliments the Blue exterior, and the car still retains its authentic Porsche smell. Everything has been preserved with care and the condition it’s in is simply phenomenal. The performance of this SC is as good as the car’s appearance. Everything works in a synchronized matter and cruising in this beauty gives you the ultimate air-cooled Porsche experience. There is nothing like it! This car was originally delivered to and bought from Hoffman Motors in Connecticut by the first owner and then sold to the second owner in 1987, who kept the car until now for an astonishing 31 years. R&R Cylinders w/ pistons & rings intact. Replace all cylinder heads studs. Detail and replace cylinder valve seals, including lapping valves. New tensioner oil feed lines. Rebuild all 4 brake calipers and install new pads. R&R reservoir & complete brake flush. Complete 4 wheel competition alignment. Car also received a new clutch 4,400 miles ago. Message: Thought you might be interested in this 1980 Porsche 911 SC.